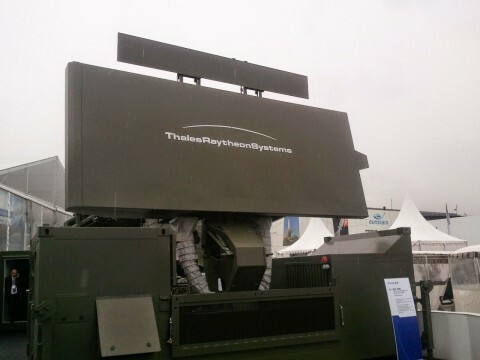 The established Ground Master 400 (GM400) from Thales Raytheon Systems is a 3D longrange air defence radar, offering detection from very high to very low altitudes. It tracks a wide range of targets – from highly manoeuvrable tactical aircraft flying below several hundred feet to the unconventional device with small radar signature such as UAVs or cruise missiles – ensuring an excellent global air picture. The Ground Master (GM) family architecture is based on common building blocks and interfaces, a stacked beam concept and digital beam forming, providing complete range and altitude coverage. For ease of maintenance, GM radars can be remotely monitored using a standard protocol underpinned by cyber solutions. Having been developed and designed into the system by MPE’s French distributors Euromip, the MPE powerline filter for the GM400 Thales Raytheon ground radar was sold by them to French defence contractor Thales. Thales selected this EMI protection filter on the basis of the very strong technical support provided by MPE’s engineers, the company’s response time, its product quality, and its superior ratio of performance to price. The Ground Master 400 is part of Thales Raytheon Systems’ fully digital 3D air defence radar family. Designed to protect the key assets of forces deployed on remote operations, the GM400 is the only system of its kind to combine the superior detection of air threats at any altitude – especially high manoeuvring targets at low elevation – with an unprecedented level of availability and mobility. The world-class GM400 system has already been selected by the defence forces of ten nations, including Canada, Estonia, Finland, France, Germany, Malaysia and Slovenia.